In terms of size, 56.2 square miles, Bryce Canyon National Park is small in comparison to other National Parks. However, in terms of unique and spectacular geologic formations, it is gargantuan. It is the uniqueness of the rocks, formed when ice and rainwater wear away the weak limestone, which attracted visitors and resulted in it becoming a national park. Bryce Canyon National Park is a series of 14 magnificent amphitheaters each carved almost a quarter mile into the eastern face of the Paunsaugunt Plateau of southwestern Utah. It is a phantasmagoric landscape of limestone hoodos, rock-candy formations, cathedrals, castles, spires, pinnacles, windows, arches, steeples and natural bridges. Bryce Canyon National Park is a real life fairytale with places like Jolley Hollow, Fairyland Canyon, Queen’s Garden, Peekaboo Trail, Aquarius Plateau, The Silent City, No Man’s Mesa, Lower Death Valley, Squaw Creek, Inspiration Point, Sunrise and Sunset Points. It is a dreamscape of fanciful formations like Thor’s Hammer, The Poodle, The Hunter, The Pope, Sinking Ship, The Sentinel, The Cockscomb and Chinese Wall. 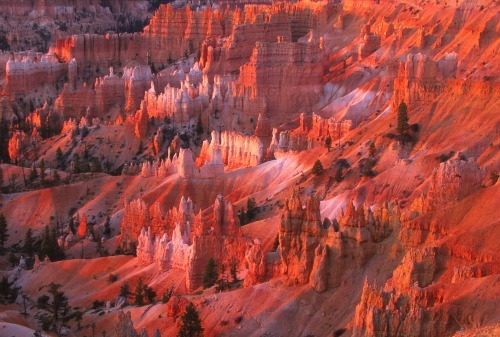 One of the most poetic descriptions of Bryce Canyon was written in 1876 by T. C. Bailey, U. S. Deputy Surveyor. Located 4.5 miles south of the intersection of Hwy. 12 & Hwy. 63, near the town of Tropic in southwestern Utah. Visitor Center is 1.5 miles inside Bryce Canyon National Park's northern boundary. Visitors with a National Parks and Federal Recreational Lands Pass or a Volunteer Pass are admitted free. Although it may be temporarily closed during and after snowfalls only so long as it takes to clear the roads for visitor traffic. Books and Maps about Bryce Canyon may be purchased at the Visitor Center, or you may purchase them through Amazon.com by clicking the link below. 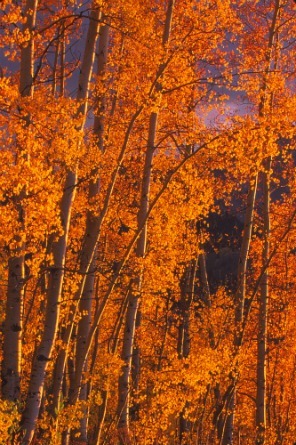 Daylight Savings Time begins the second Sunday in March and ends the first Sunday in November. resulting noise and air pollution. Although it is not mandatory that visitors use the shuttle, it is encouraged. The $25 entrance fee entitles visitors to unlimited, free use of the Bryce Canyon Shuttle buses. The buses run every 12-15 minutes and visitors may board or leave the buses at any designated stop. Visitors who are not staying overnight within the park are encouraged to leave their vehicles at the Shuttle Staging area (near Ruby's Inn) or at Ruby's Campground located outside the park. The 2012 Bryce Canyon Shuttle runs May 4th through October 7th. All times are Mountain Daylight Time. 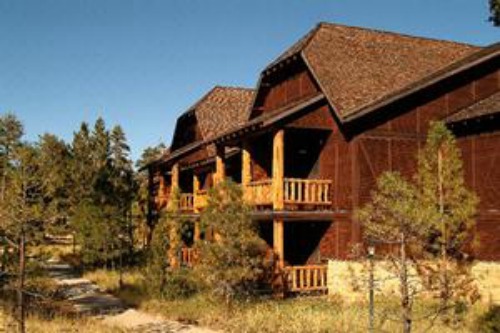 The Lodge at Bryce Canyon is the only lodging within the park. 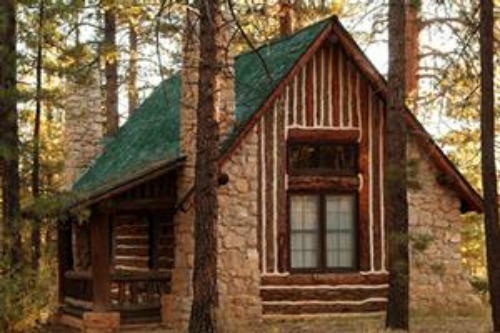 It was designed in the 1920s by Union Pacific Railroad architect Gilbert Stanley Underwood who also designed the lodges at the North Rim of the Grand Canyon, Cedar Breaks and Zion. These lodges were built within the parks in hopes of attracting rail passengers to visit these various parks and to attract more people to ride the trains. Visitors who arrived by train at Cedar City were driven by open-air buses to Bryce Canyon. The 2013 season begins March 29 and runs through November 10th. All accommodations are non-smoking and feature phones and radio alarm clocks. For further information and/or to make reservations, use the search box on the right. This is not a booking agency; rather, it is a search engine powered by Hotels Combined to help you check availability and find the best deals on lodging. The search results show Bryce Canyon Lodge as well as others in the area around Tropic, Utah. There are two campgrounds within the park boundaries, North Campground and Sunset Campground. Located across from the Visitor center at the north end of the park. • 99 sites in 4 loops; A, B, C, D.
To make reservations to one of the 13 RV sites, call (877) 444-6777 or click www.recreation.gov. Reservations for these sites can be made from 6 months to 2 days in advance (minimum advance reservation is two days. 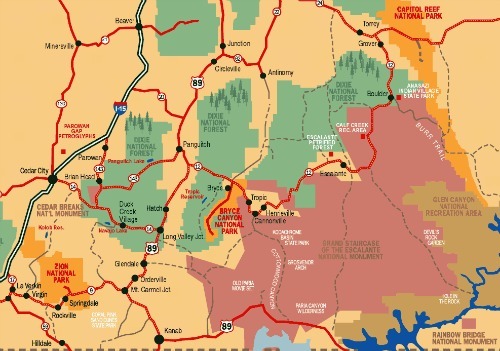 For a Map and Campground Regulations, Click Here. 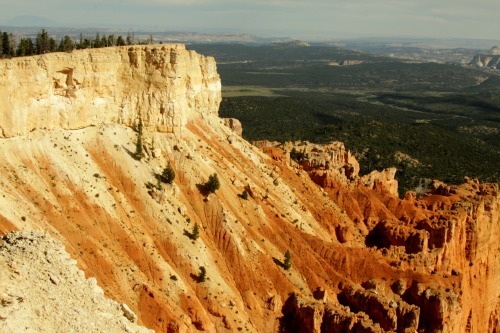 Located west of Sunset Point, approximately 1.5 miles south of the Bryce Canyon Visitor Center. To make reservations for one of the 20 Tent Sites, call (877) 444-6777 or click www.recreation.gov. To download a Map and Campground’s Regulations, Click Here. The Group site is for a minimum of 7, maximum of 30 individuals. Cost per night is based upon the size of the group. 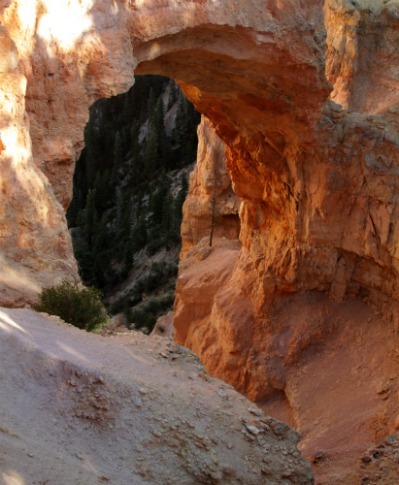 Hiking is a fun and healthy way to see and experience Bryce Canyon national Park. Cave Trail hike to the strenuous 8.5 mile roundtrip Riggs Spring loop hike. 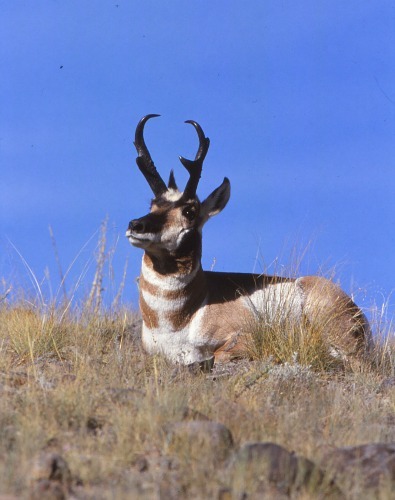 For more information about these hikes, go to www.nps.gov. From scant artifacts found in the canyons south of the park, it is believed that the Basket Makers were the earliest known inhabitants of the region. Shortly after A.D. 1000, archaeologists believe that either the ancestral Puebloans or Indians of the Desert Culture may have followed the Basket Makers into the region. By A.D. 1200, they had left the area and were replaced by the Paiutes, a semi-nomadic- people. There is also evidence that Navajos from south of the Colorado River visited the area but never stayed for any lengthy period of time. The Church of Jesus Christ of Latter-day Saints was a strong presence in southern Utah in the 1850s. Mormon scouts first visited the Sevier River near Panguitch in 1852 which probably afforded them a view of the Sunset Cliffs. However, it was not until 1874 that Mormon settlers established farms in the upper Paria Valley, near the junction of the Paria River and Henrieville Creek. Ebenezer Bryce and his family came to the area in 1875 or 1876 and with help from his neighbors built a 7 mile long irrigation ditch from the Paria Creek, thereby making it possible to grow crops and raise cattle. In addition to the irrigation ditch, Ebenezer Bryce built a road to an amphitheater where he and others harvested timber for building and firewood. This amphitheater became known as Bryce’s Canyon. than Reuben (Ruby) Carlson Syrett and his wife, Clara Armeda (Minnie). The Styretts homesteaded a quarter section of land 3-1/2 miles north of what is now Sunset Point. They invited friends to come out to see their wondrous canyon which was so well received that they started buying up more of the land around them. 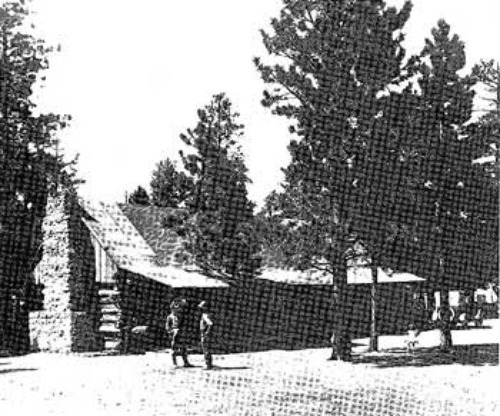 By 1920, as more and more visitors from all over the country came to see the canyon, the Styretts decided to build a permanent lodge, which they named Tourist's Rest. The lodge, which measured 30 feet by 71 feet, was made of sawed logs and had a dining room with a fireplace, a kitchen, a storeroom, and several adjoining bedrooms. In addition to the lodge, they built several cabins nearby and a 35 feet by 76 feet open air dance platform. 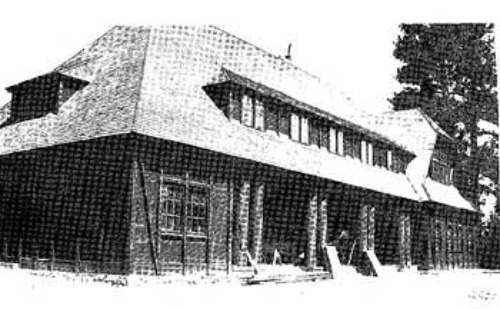 The Styretts operated the lodge until it was purchased in 1923 by a subsidiary of the Union Pacific System. Through the efforts of individuals like the Styretts and commercial enterprises such as the Union Pacific System there was getting to be a lot of people interested in Bryce Canyon; and not all of these were in a good way. Fortunately there were those who felt strongly that Bryce Canyon was a national treasure and should be protected from further commercialism by making it a National Park. However, before this could be done, there were several issues which first had to be resolved and a resolution would take time. The quickest option was to first make Bryce a National Monument, which could be done by presidential proclamation, then tackle the other issues. Once the Monument was under federal protection, these issues could then be dealt with in a more leisurely manner. This first step was taken on June 8, 1923, when President Warren G. Harding proclaimed Bryce Canyon a national monument. Congress moves in slow and mysterious ways. Within a year after President Harding issued his Executive Order creating the monument, Congress initiated steps to alter the status of Bryce Canyon from a national monument to a national park. However, before it could become a National Park, all the land within the boundaries of the park had to be the property of the United States. Unfortunately, both the State of Utah and the Union Pacific owned some of this land and would have to convey ownership to the United States. Understandably they were reluctant to do this without certain concessions and remuneration and it was not something that could be immediately resolved. In fact, it took until September 15, 1927 before an agreement was reached between the United States, the State of Utah, and the Union Pacific Railroad which fulfilled the requirements of the 1924 legislation. On December 6, 1927, Senator Smoot, from Utah, introduced a bill to change the name to Bryce Canyon National Park. On February 25, 1928, Congress authorized legislation changing the name from "Utah National Park" to "Bryce Canyon National Park." From the highest part of the park, Rainbow Point, to the lowest point at Yellow Creek, the elevation at the park varies almost 2500 feet. This disparity in elevation results in three distinct climatic zones: spruce/fir forest, Ponderosa Pine forest, and Pinyon Pine/juniper forest. Consequently, Bryce Canyon enjoys a high biodiversity with over 100 species of birds, from the tiny Black-chinned Hummingbird to the California Condor; dozens of mammals, from the ubiquitous Golden-mantled Ground Squirrel to the rare and elusive Mountain Lion; and more than a thousand plant species, from the dainty Wyoming Paintbrush to the ancient Great Basin Bristlecone Pine. 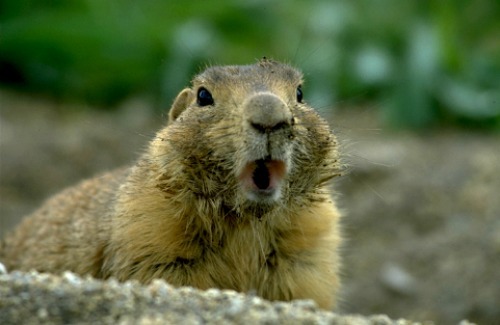 For a Checklist of Mammals, Reptiles and Amphibians, Click Here. 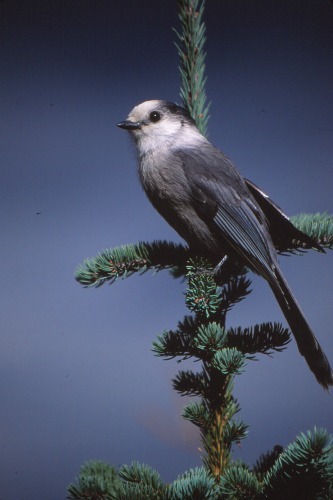 To learn more about birds, Click Here. To see more on Trees and Shrubs, Click Here. 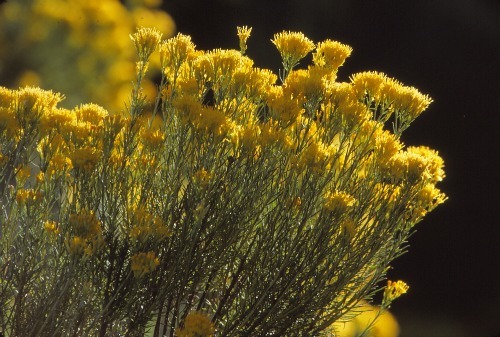 To see more on Wildflowers, Click Here.